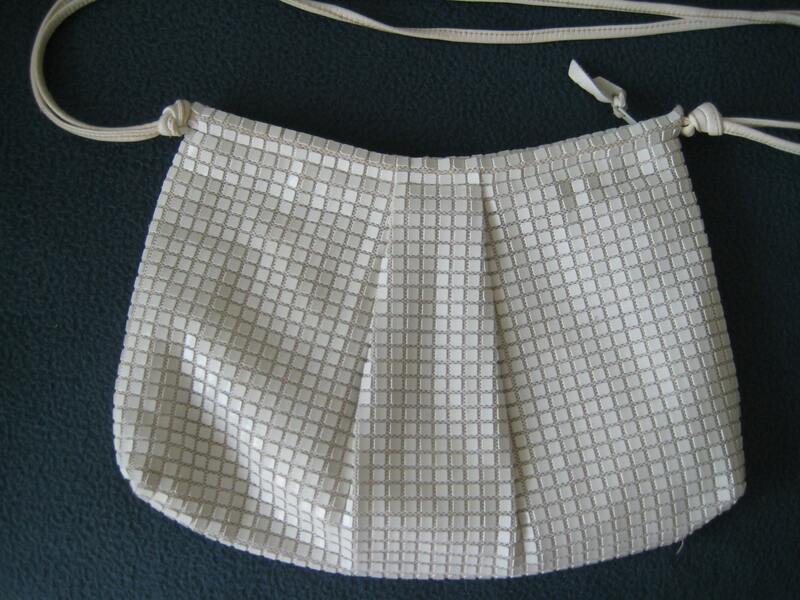 White Vtg Shoulder Bag by Lemured. Light weight vintage handbag from the 70's. 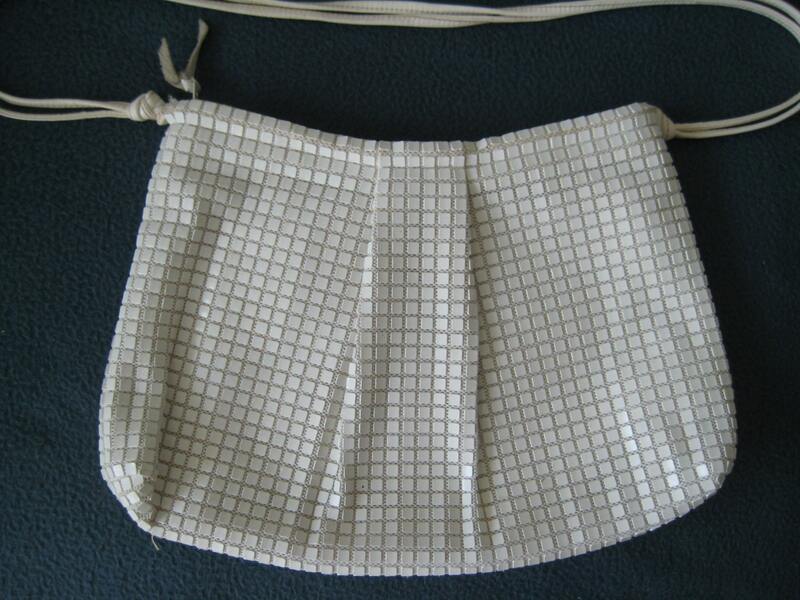 Plastic squares cover a white pleated fabric backing and looks like metal. White leather straps fit easily over your should with a 15 inch drop. Plastic zipper keeps valuables inside. 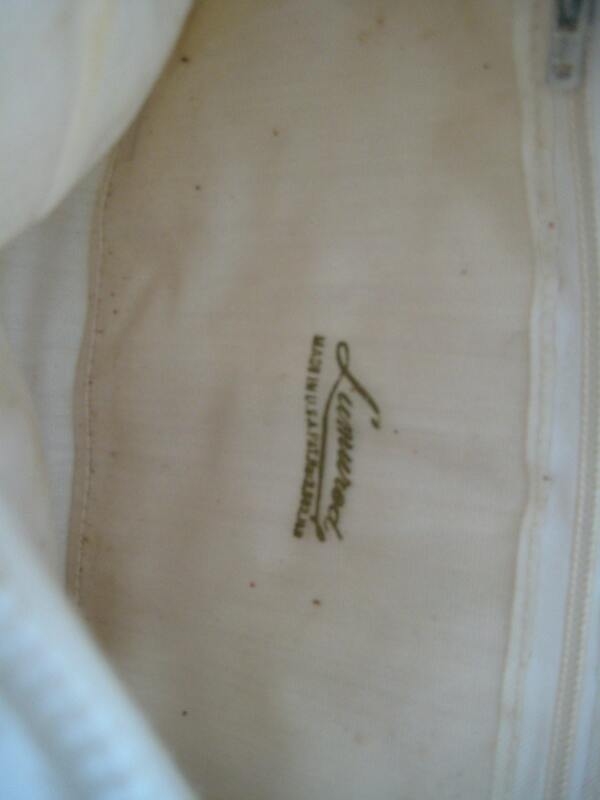 Cream colored polyester lining has a few wear stains but no rips or tears. 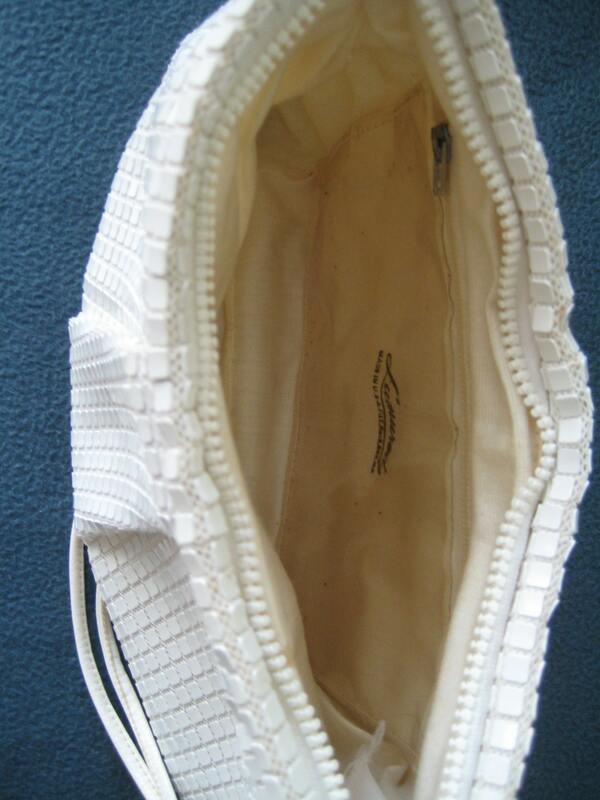 Plastic pocket acts as both a zippered pocket and a patch pocket. Lemured Made in USA label. Dimensions: 12.5 inches long at widest part x 8 inches tall.